The German lighting makers have certainly been hard at work this year. Before Photokina even begins in Cologne, many of the host country's firms have already unveiled an array of innovations in photographic lighting. This one may not be strictly German, but it’s still a first. The Emoblitz Hybrid Flash Di390 is a third-party automatic speedlight offering TTL flash firing either from its main or secondary flash tubes, or both at once. Previous “twin flashes” have TTL control limited to the main head only. 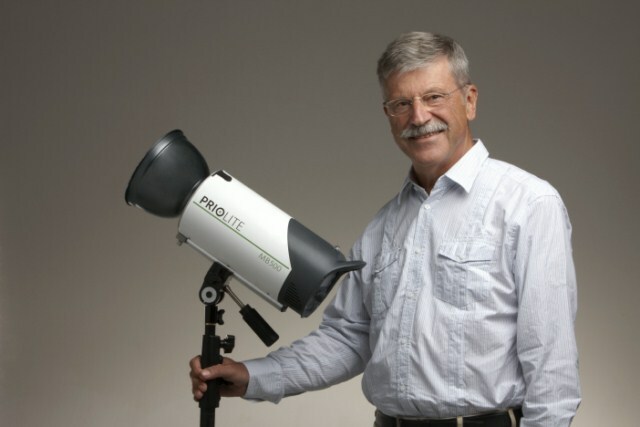 The Profilux Plus 600 is to be replaced with Multiblitz‘s Profilux Plus 800. The 800 model offers higher light intensity, a wider range of power control and remote adjustment via the new TriggerHappy 2.4GHz system. 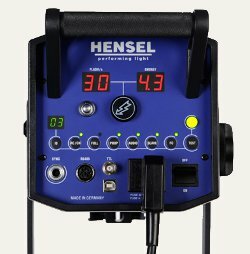 This adds to existing features such as Propac battery support, the P accessory bayonet and universal voltage. The new version will match the old at a RRP of €941. The MB500, with its lithium ion battery integrated into the flash head, is possibly unprecedented in portable lighting. A full charge is claimed to provide around 400 flashes at full power, with a recycle time of less than 3 seconds. You will be able to find out more about the new Priolite products (including more information in English) on their web site as the trade show gets underway.